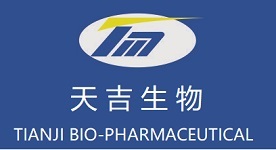 Tianji Bio-Pharmaceutical is a professional manufacturer for peptide drugs. We have GMP workshops for peptide APIs and formulations. The DMF are available for our products, Liraglutide, Octreotide acetate, Thymalfasin, Carbetocin, Triptorelin, Terlipressin, Desmopressin, Cetrorelix, etc. And the samples of semaglutide(for R&D purpose) and its intermediates are available. Also, we offer CMO, CDMO,and CRO services for peptide products.